Oboist Julianne Webner has performed in a wide variety of ensembles across the United States. In August 2016, she was appointed Principal Oboist of the Austin Symphony, and is also Associate Principal Oboe and English Horn with the Austin Opera. 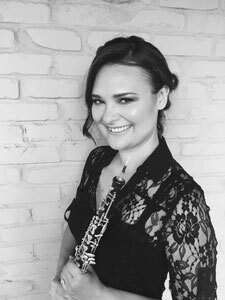 A native of Portland, Oregon, Ms. Webner is a graduate of the Manhattan School of Music in New York City, where she studied with Liang Wang, Robert Botti, and Joseph Robinson. She has also studied with musicians in the Chicago Symphony as a member of the Civic Orchestra of Chicago. While living in Chicago, Ms. Webner was also soloist on WMFT radio, a founding member of the chamber ensemble Tempest Winds, and was Principal Oboist with the Dubuque Symphony, the Battle Creek Symphony and the Heartland Festival Orchestra. She is a sought-after performer and teacher, and has played with the San Antonio Symphony, Elgin Symphony, Illinois Symphony, Quad City Symphony, New Philharmonic Orchestra, Northwest Indiana Symphony, and the Peoria Symphony. Ms. Webner has performed in concert with popular artists such as Gloria Estefan, Dennis DeYoung, Yo-Yo Ma, and Kenny G. Her musical travels have taken her across the United States, Europe, and Mexico, including appearances with the Castleton, AIMS Graz, and Bellingham festival orchestras. Ms. Webner lives in Austin, Texas and loves reading, teaching, and playing with her good-natured Lab, Pretty. Students in the Austin area who would like to take lessons may contact Julianne by emailing nightingalereeds@gmail.com or by calling 646-319-4202.